Using just a plain no labeled pint glass, the beer poured a hazy golden color with a finger wide white head, which reduced down to a very thin line leaving no lacing at all. The aroma was all hops. it was a crisp, tangy smell. 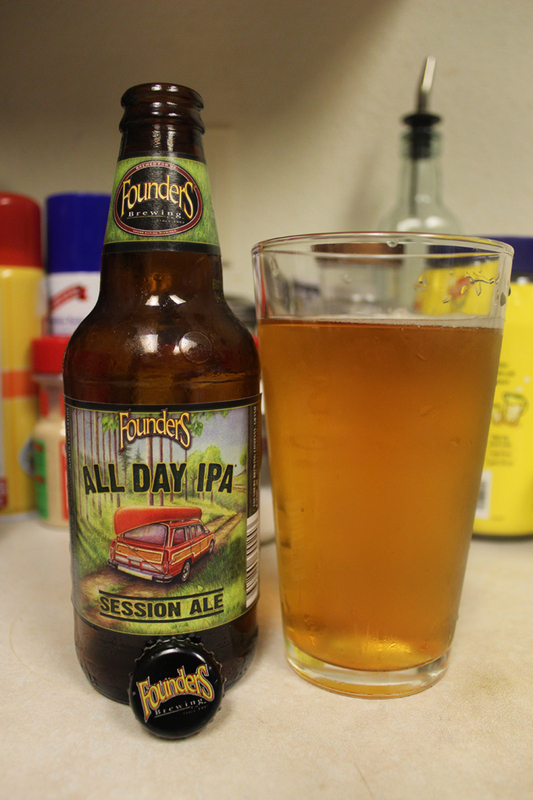 I picked up on aromas of citrus, a bit floral, and it definitely has that danky funkiness to it. I don’t pick up on any malt aromas at all. That damn dank funkiness is strong with this beer. It definitely is the main flavor with this beer. The citrus and floral flavors from the hops take a backseat here, and really only appear to me at the end, and aftertaste. There is a biscuit-like flavor which for me was not present in the aroma. The body is light, but not very thin. The mouthfeel is smooth with a crisp bite. Overall, I will say that this wasn’t what I expected. Seeing as this is a session ale, I wasn’t expecting strong aromas/flavors. I thought it would be a lot lighter. If you have been following my reviews, you will know that I am a hop head, and love IPAs, but when a beer is overpowered by the dank flavors, I have to put those at the bottom of the list. There is a certain smell and taste when I say dank or dank funkiness, which reminds me of body odor. I have read many reviews that say it is comparable to cat piss, but I wouldn’t go that far. I have a cat and I don’t ever get the urge to drink out of her litter box! Yuck! Maybe I got a bottle from a bad batch or something. I thought it was weird seeing as all reviews I read talk about how much head this beer had, good lacing, good carbonation, strong citrus, floral flavors. Well, I got none of that. I will definitely be drinking this again so I can compare notes. I’m really hoping I just had a bad experience this one time. I want to enjoy this beer as much as the rest of society! Metal Connection: I had a song in mind from the start. It’s not a new song, in fact, it’s not even a “metal” song. I will call it a classic rock hit from one of the biggest bands on this planet, Kiss. I know you’ve heard this song 10,000 times, maybe even just this past week alone. Since Founders was going for a beer that is a session beer, and being as bold as saying it can be enjoyed all day long, why not “Rock ‘n Roll All Nite”. Enjoy! Drinkin’ beer all day, and all nite, BeerMetalDude!